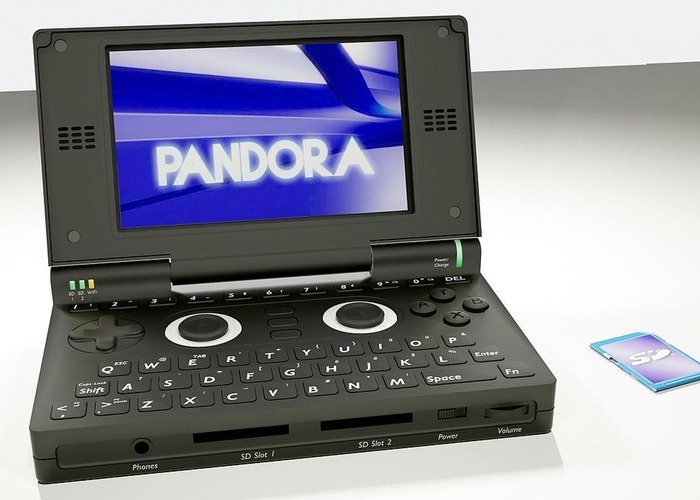 Development of a new successor to the OpenPandora (pictured below) games console has been announced this month in the form of the DragonBox Pyra, which has been designed to be an open source games console picking up where the OpenPandora finished. The new DragonBox Pyra is expected to be a 5 inch handheld games console which will be powered by a ARM Cortex-A15 @ 1.7Ghz processor supported by 2 GB of RAM and offering full HD resolution. The DragonBox Pyra measures approximately 140 x 84 x 29 mm in size and is equipped with a 4200mAh long life rechargeable battery, together with a DPad, 4 shoulder buttons and 6 face buttons. With integrated Wi-Fi 802.11a/b/g/n and Bluetooth 4.0 connectivity and dual SDXC card slots. Unfortunately no images of the final DragonBox Pyra games console have been released as yet but as soon as more information becomes available we will keep you updated as always. The DragonBox Pyra open source games console is currently still in development so final hardware specifications may change over the coming months. for more information on the development of the DragonBox Pyra jump over to the official website for a full list of specifications and details on its hardware.